After establishing who the offense is declaring "Mike" in their BOB protection scheme the next step is capitalizing on that information. 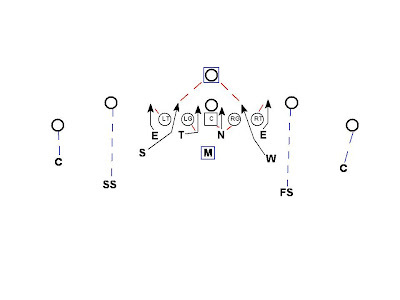 The simplest solution is to force the hot throw by bringing both players the running back has in the dual read. If the offense doesn't throw hot there will be an unblocked blitzer in the QB's face. In this example the easy solution is to bring both the Sam & Will because the back has both. The RB can pick up one and the other will be unblocked. A nice compliment to this pressure is to bring the Sam & Will inside in the B gaps instead. The pressure from the Sam & Will should arrive more quickly through the B gaps. 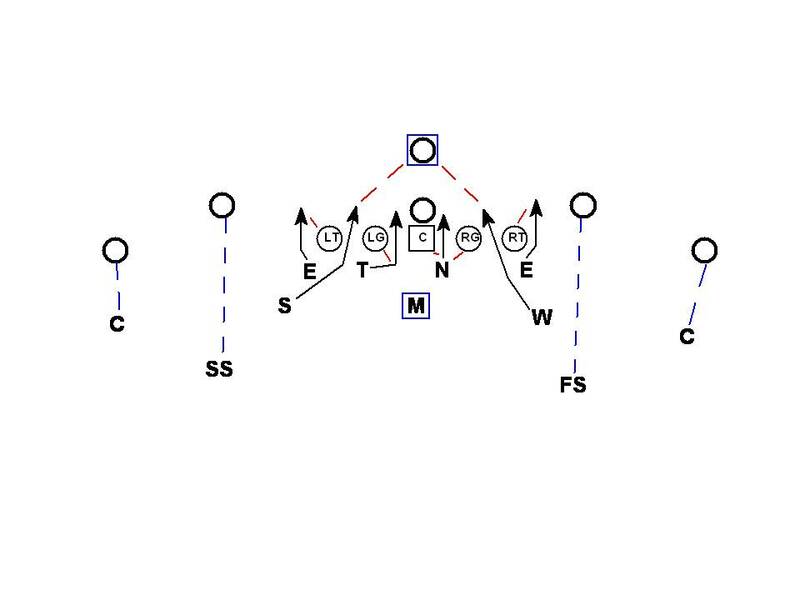 In order for both of these blitzes to be successful plays, the safeties must be ready to take away the hot routes to the slot receivers and all the DB's must anticipate the ball to come out early. Both of these pressures are also ideally suited to be bluffed. 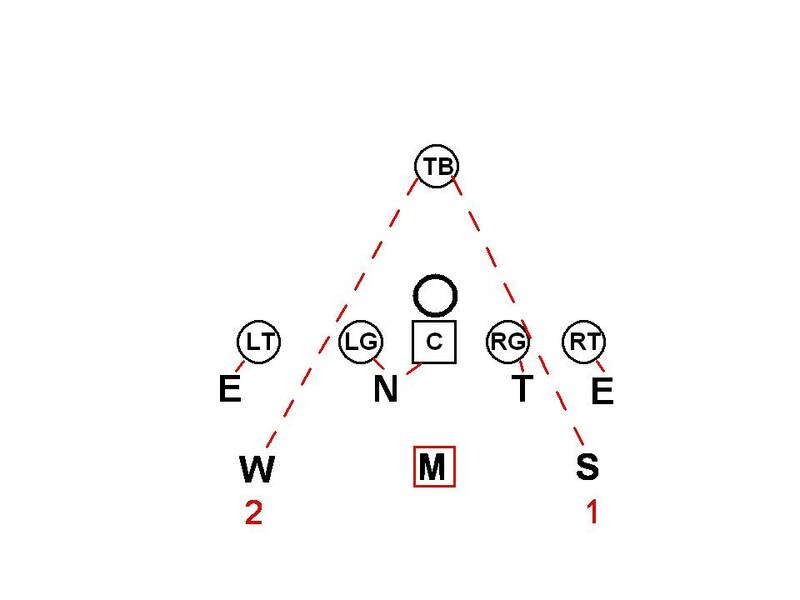 The Sam & Will can easily bluff the edge or B gap blitz and still execute their drop in split safety read 2 concept on both halves of the formation with the Mike taking the 3 drop. Building on the concepts of bringing both the Sam & Will and bluffing pressure the next strategy is based on where the back is looking first. 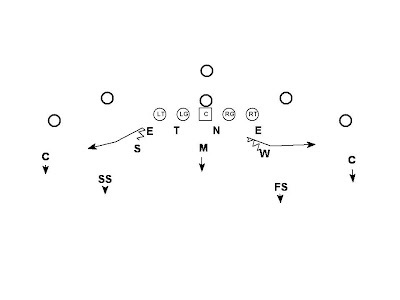 The Sam bluffs outside pressure to attract the attention of the RB then executes his drop. The Will blitzes inside and should get quick pressure. If the Sam is a decent salesman and the back commits to him at all the block on the blitzing Will is difficult. 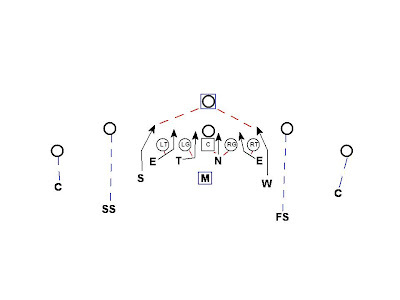 If the back does pick up the Will there is still a high probability that the timing of the QB has been disrupted. 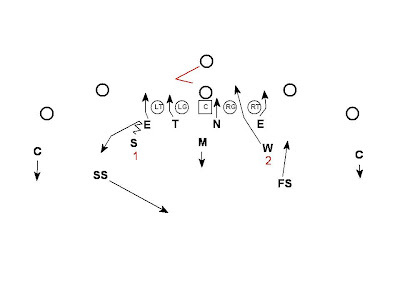 Would the running back normally watch for pressure inside-out on a dual-read, i.e. from A-to-B-to-C gap, in under to get the most immmediate threat first? 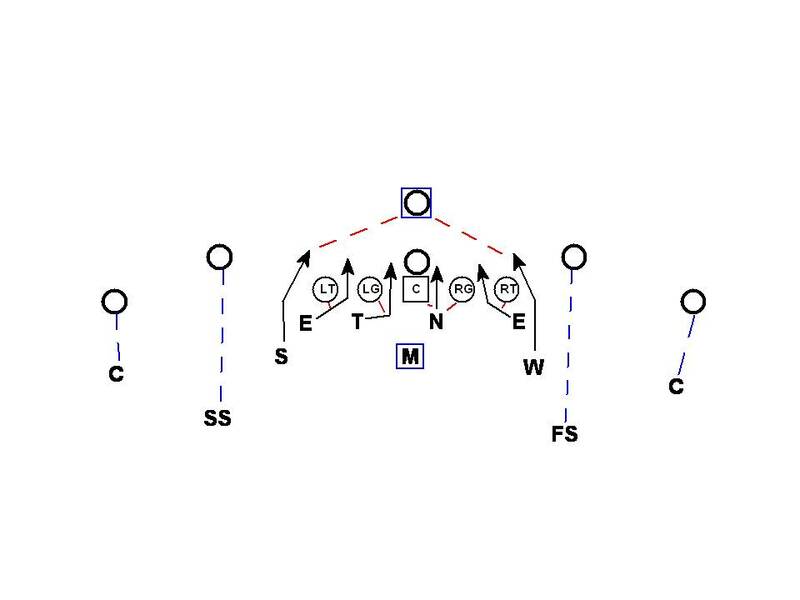 In your example, is it likely the running back will commit to the Sam in the C-gap before the Will in the B-Gap? 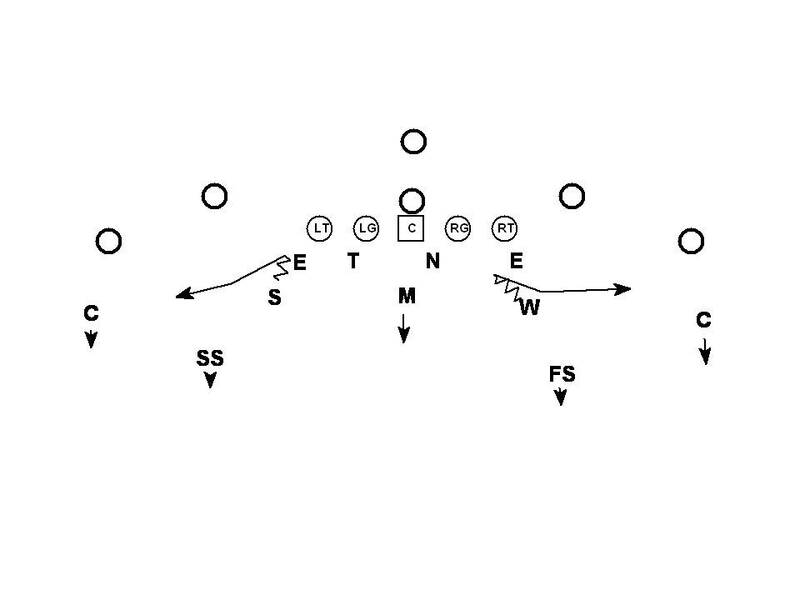 The concept here is to plan (based on scouting report) where the dual read running back steps first. Yes the back should always be inside out. 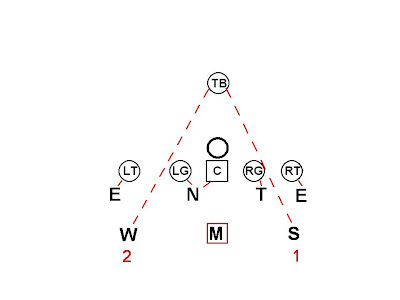 If his dual reads are on the same side of the center blocking inside out is much easier. In this situation the dual reads are on opposite sides of the center. 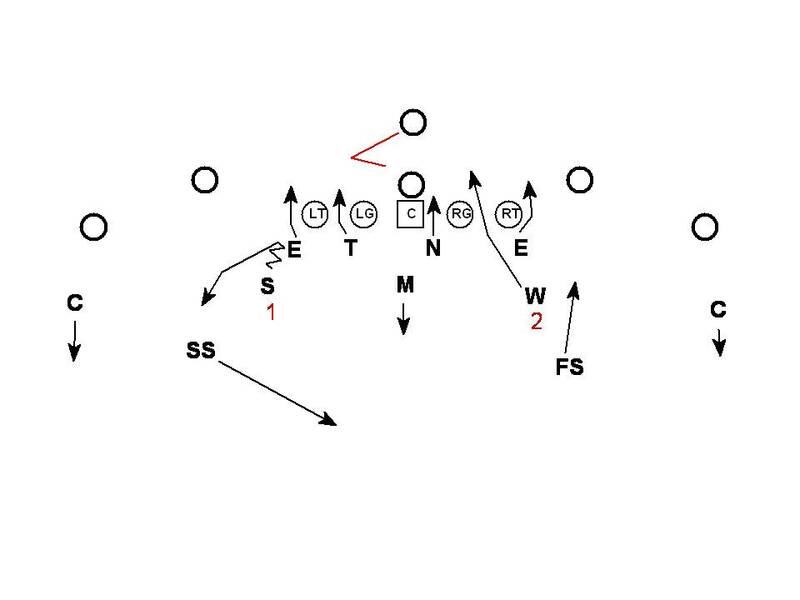 If the RB commits to the Sam even one step his block on the Will is much harder to make. For many teams the worst pass blocker in their lineup is the RB. A weaker blocker who is late to his block is good for the defense.